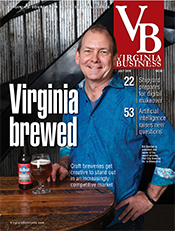 An observer looking at the lists on the following pages might conclude that businesses in the Richmond area have a bigger need for lawyers than other parts of the state. 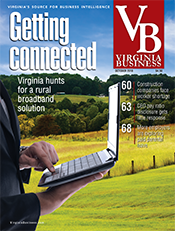 Seven of the 10 top Virginia law firms have their biggest offices in Richmond. The other three are in Norfolk, Alexandria and Reston. 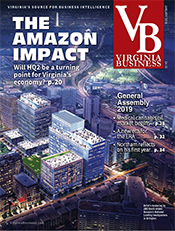 In the overall list, Richmond and Northern Virginia are the sites for the biggest offices of a vast majority of firms on the list. 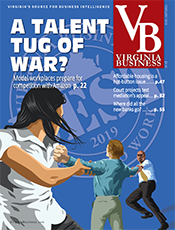 The top two firms based in Virginia are McGuireWoods and Hunton & Williams, with 300 and 244 lawyers, respectively. 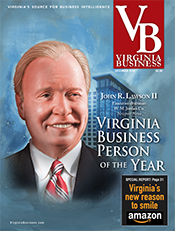 Many Virginia law firms made news last year not only in the courtroom but also in real estate deals. Several negotiated new leases, oftentimes for less square footage than they had before. 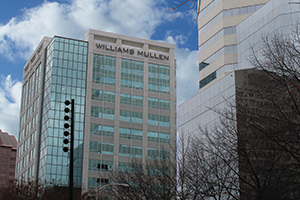 McGuireWoods is set to become the anchor tenant of an 18-story $110 million office building in downtown Richmond, Gateway Plaza, being developed by Chicago-based Clayco. The law firm and its consulting arm will occupy 217,000 square feet of space in the structure next year. 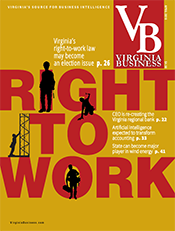 Richmond’s concentration of lawyers can be attributed to a number of factors, including the presence of federal district and appellate courts in the city and a number of major corporations in the area. 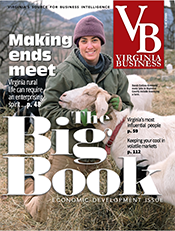 Another factor is the presence of the Virginia General Assembly. Many law firms are involved in lobbying at the legislature, an activity reflected in a list showing the largest amounts spent lobbying during the 12 months ending in April. 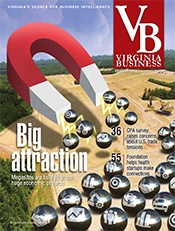 The biggest spender at $572,607 was Virginia Uranium Inc., a company that wants to mine and mill an estimated 119 million-pound deposit of uranium near Chatham in Pittsylvania County. 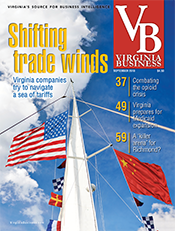 Despite its spending, Virginia Uranium got no closer to its goal of lifting a more than 30-year-old state ban on uranium mining in the 2013 session. The company suspended its support for any uranium mining legislation this year after newly elected Gov. Terry McAuliffe pledged to veto any bill lifting the ban. 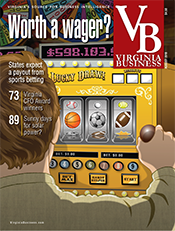 In contrast to the law firm list, slightly more accounting firms have their principal Virginia offices in Northern Virginia than Richmond. The big four remain the national firms PwC, KPMG, Deloitte, and Ernst & Young. 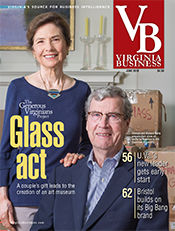 The biggest Virginia-based firm is Watkins Meegan in Tysons Corner.